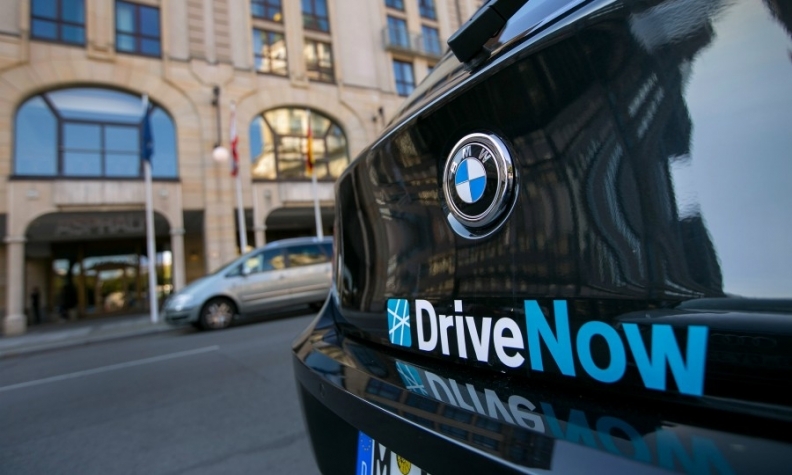 Sixt owns 50% of BMW's DriveNow car-sharing service. FRANKFURT -- Daimler and BMW Group may be in talks to combine their car-sharing services Car2Go and DriveNow, hinted Erich Sixt, the CEO of car rental company and DriveNow partner Sixt. Daimler and BMW have discussed pooling their car-sharing businesses to better compete against ride-hailing companies such as lik Uber and Lyft which have started offering pay-per-use mobility services which are more convenient than car ownership. Asked whether Sixt was involved in merger talks with Daimler and BMW, the CEO said: "At the last press conference I made clear that we are not involved. Today, I can only say 'no comment'. This is of course a slightly different statement from the last one. Why things are dragging on is not down to us." In May, Sixt had said it was not involved in any merger talks, but added that its 50 percent DriveNow stake had been valued at about 480 million euros ($560 million). On being asked whether BMW was in talks to combine its car-sharing business with Daimler's, a spokeswoman for BMW said, "We are in constant talks with our partners and are of course evaluating the strategic options for our activities and stakes." More than a third of clients who tried BMW's DriveNow car-sharing business in London sold their own car and only 20 percent were determined to keep their privately owned vehicles. The market for ride-hailing services currently makes up about 33 percent of the global taxi market, and could grow eightfold to $285 billion by 2030, once autonomous robotaxis are in operation, Goldman Sachs said.